Is Iran 2012 The Nazi Germany Of 1938? In the controversy over Iran’s nuclear program, Israel’s policy of claiming that an Iranian nuclear weapon represents an existential threat has prompted Teheran’s apologists to maintain that Israeli officials exaggerate the danger. In particular, these critics lambaste Israelis for comparing the theocratic clique running Teheran’s government with the regime of Adolf Hitler in Nazi Germany. Such comparisons, argue the critics, are mere hyperbole; the Iranian leaders are rational, and even if they build nuclear weapons (as most experts on nuclear non-proliferation believe is their aim), Iran’s rulers would only use a nuclear arsenal as a “deterrent,” and no other country, including Israel or the Sunni Muslim governments astride the Persian Gulf, need fear an Iranian nuclear attack. The number two man in the Iranian government then went on to tell the supposed U.N. co-sponsored anti-drug conference that Jews and Zionists were responsible for the Russian Revolution of 1917, in which, according to Rahimi, not one Jew died. For good measure, he also added that the Jewish religious text, the Talmud, is a racist document and that “Zionists” have ordered gynecologists to kill black babies. The words that came out of the mouth of Iran’s vice president could have come from Nazi Germany’s propaganda minister Goebbels in 1938, or from a contemporary neo-Nazi hate pamphlet. That these words reflect the thinking of a top-level government official from a regime that appears to be seeking nuclear weapons capability, even in the face of international sanctions that are crippling to its citizens, should give all sensible people pause. Beyond the argument as to whether or not Iran’s rulers are rational, would allowing such a regime to possess nuclear weapons and the ballistic missiles that could deliver them to any target in the world really be a rational act on the part of the rest of the world? 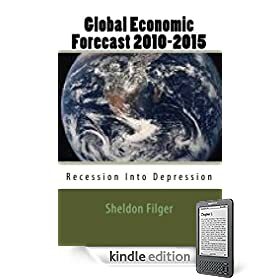 Perhaps the greatest money printer in monetary history, Ben Bernanke, the iconic chairman of the U.S. Federal Reserve, has publically stated his revised, gloomy economic forecast for the United States. 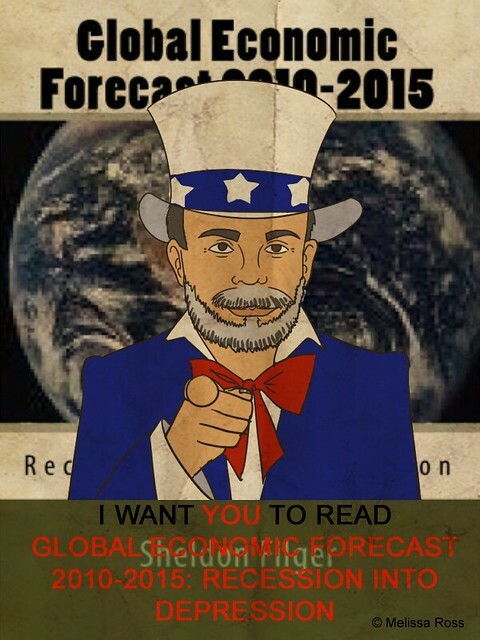 According to Bernanke, the Fed now projects GDP growth in 2012 of 2.4 percent, down from nearly 3 percent earlier in the year. This is stall speed GDP growth, despite being goosed by more than a trillion dollars of deficit spending by the Federal government in the current fiscal year, and a bucket load of monetary stimulus measures by the Federal Reserve. What is Bernanke’s response? An extension of a program for swapping short term bond purchases for longer-termed bonds, with the bizarre name of “operation twist.” The name alone tells us how ridiculous the Fed has become under the tutelage of Ben Bernanke. The reality, as plain as daylight, is that without a heap of borrowed money and monetary gimmicks, the American economy would implode. Unfortunately, the measures adopted by Bernanke and other policymakers, which only succeed in kicking the can down the road a bit more, assure us that when the bill needs to be paid, the cost will be even more dear for the U.S. and global economy. Only days after the bungling Eurozone politicians provided another one of their countless, debt-financed bailouts, with another promise that the Eurozone debt crisis was “permanently” solved and ring-fenced, borrowing costs for Spain’s government have soared above the dangerous and unsustainable 7 percent level. In addition, Italy’s borrowing costs have increased to above 5 percent. The bond vigilantes clearly have no confidence in the Eurozone political establishment. And with the next Greek election only days away, the shocks to the Eurozone system are far from over. The Eurozone debt crisis, far from being contained, seems to be impregnable even to a shower of bailouts being thrown at it by helpless politicians. The bungling politicians of the Eurozone have done it again; another bailout. This times it is Spain. Not the entire Spanish economy (which may come later, though the politicians swear that will never happen) but its insolvent banking sector. The Eurozone has agreed to allow Spain to borrow up to 100 billion euros from its bailout fund, a sum equivalent to about $125 billion USD, with supposedly no strings attached. As they have done so often in the past, the political leaders in the Eurozone are praising themselves for their “brilliant” move of further indebtedness for the entire monetary union for supposedly, once again, “saving” the euro. And as has happened before, they will undoubtedly eat crow when the next bailout package is offered by these same inept politicos. The “no strings attached” deal to save Spanish banks actually poses a serious problem. Ireland originally had a relatively stable fiscal situation until the bumbling politicians in Dublin foolishly decided to backstop their crumbling private banks with public funding, leading to the insolvency of the Irish economy. The bailout package Ireland received from the Eurozone bailout fund required crippling austerity measures. Now some in Ireland are urging that their bailout terms be modified, in light of Spain having its banks directly bailed out by the Eurozone. In conclusion, while politicians in Europe and the United States are cheering this latest bout of bailout fever in Europe, nothing positive is really happening in terms of addressing the root causes of Europe’s economic malaise. ECB President Mario Draghi, it is rumored, will cut interest rates, in a frantic effort to retard the rampaging Eurozone Debt Crisis. Since assuming the ECB presidency, Draghi has engaged in stealth quantitative easing, buying up sovereign bonds, and engaging in other monetary gimmicks. But nothing seems to be working. With ECB rates already very low, there is not much left to be cut. The schism is over supposed austerity measures in the vulnerable Eurozone countries with large sovereign debts neutralizing any impact from ECB monetary policies. However, the real issue involves the bond markets; will they open up their coffers and offer more loans to countries that already have an unsustainable debt to GDP ratio? In the Eurozone, both economic /fiscal and monetary policies are totally detached from the harsh realities of the marketplace.